President Muhammadu Buhari; Oyo State Governor, Abiola Ajimobi, and Oba of Lagos, Rilwan Akiolu, have embarked on a last-minute move to save Lagos State Governor, Akinwunmi Ambode, from an impending loss of the state All Progressives Congress ticket for the 2019 governorship election. There had been reports that Ambode was no longer in the good books of an APC national leader, Asiwaju Bola Tinubu, which might endanger his second term bid. However, impeccable sources within the ruling party said on Wednesday that the prominent personalities including the President, the monarch and Ajimobi had stepped in to resolve the crisis, noting that the matter would be resolved. in the state, were said to have claimed to have Tinubu’s backing. 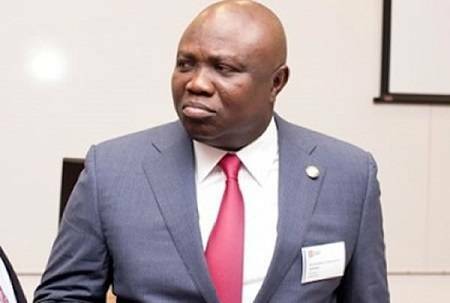 Another source said there was no problem between Ambode and his political father, Tinubu, but the governor was believed to have drawn the ire of party leaders and key supporters when he allegedly sidelined them from his administration. Reminded that many APC members in the state were of the opinion that Ambode might fail to clinch the APC governorship ticket having been abandoned by the 57 local council chairmen in the state, the source said there was no cause for alarm. He said the President, who was a father to all the APC members, would resolve the logjam. Another source said the party elders, who were said to have sponsored Sanwoolu, had decided to open discussion on Ambode after pressure from different quarters.